The contents include 40 figures in 8 separate poses. 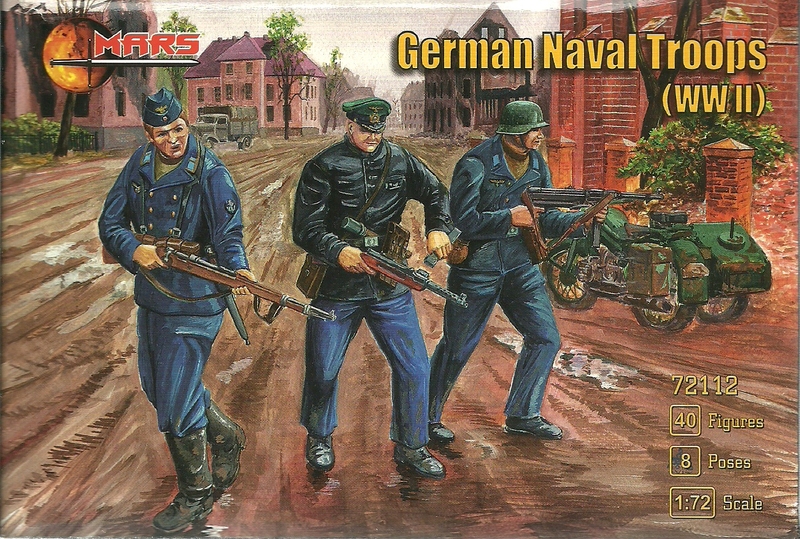 The collection includes one soldier advancing firing an MP40 (8 figures) and one soldier standing firing an rifle from the waist (4). There are two soldiers advacning with rifles one with a bayonet (4) and one without (8). One soldier, kneeling, is firing an MP40 (4) while another runs carrying a rifle and an ammo box (4). The set is finished with a prone soldier firing and MG34 or MG42 (4) and an officer holding machine gun (4).